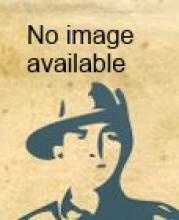 Joseph Boyle (Service No 829) was born in Dapto, NSW in 1896. At enlistment Joseph was single, 21 years old, worked as a clerk. lived in Goulburn, NSW and had served 5 years in the Cadets and Militia. He embarked from Sydney on HMAT A33 Ayrshire with Anzac Cyclist Battalion, 9th Reinforcement on 24th January 1917. Joseph arrived in England on 12th April 1917 and was posted to the Machine Gun Battalion on 26th June 1917. After training he arrived in France on 20th April 1918 and served on the Western Front until he was wounded on 22nd September 1918 and evacuated to hospital in England for treatment of gun shot wounds to his back and chest. Joseph was returned to Australia in April 1919 and discharged medically unfit with debility on 13th July 1919.